This is a dream come true – a Ball in Vienna – dressed in a cloud of soft pink silk….the carriage is waiting to bring you to the castle. 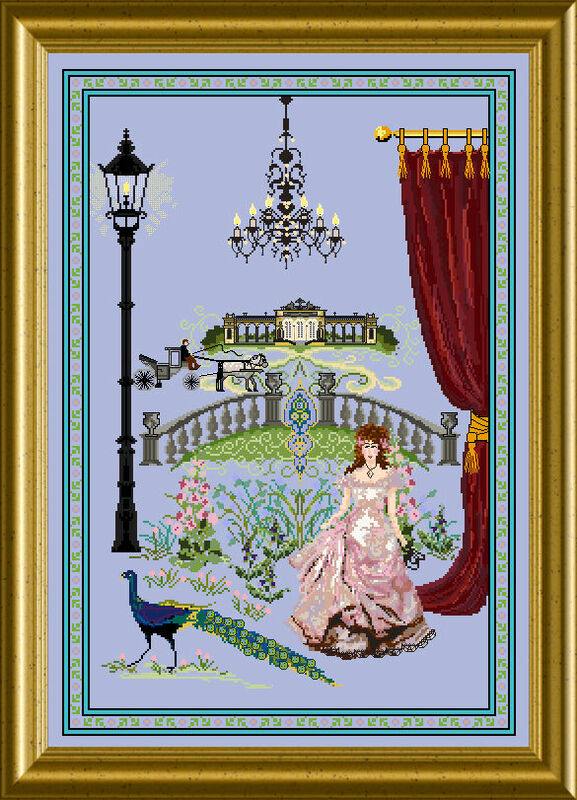 This piece pulls together many elements, which make the old-world charm of Vienna come true in stitching. All is framed by a lovely ornate frame of tiny Forget-Me-Not’s. You will stitch cross stitches with backstitching, embellished with beads. 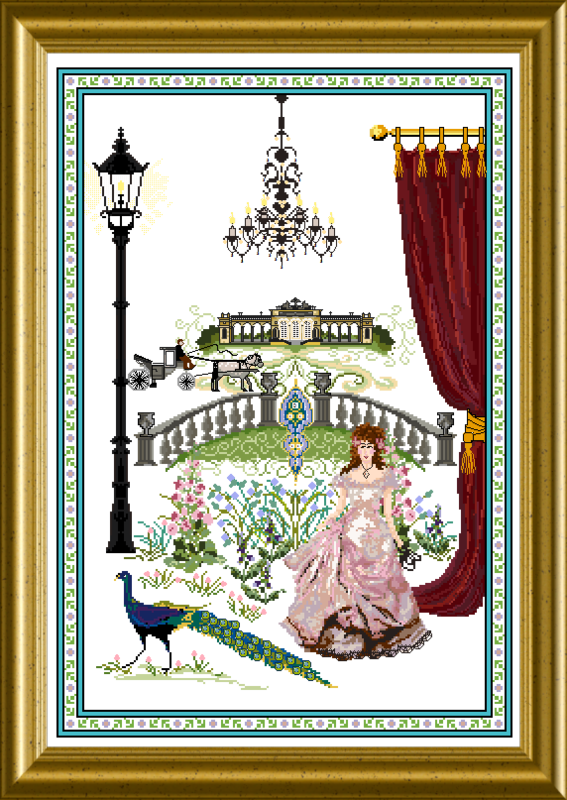 The size of the design is 230 x 338 stitches.